5 Things to Consider While Creating a Mobile Marketing Strategy! Home > Blog > Blog > 5 Things to Consider While Creating a Mobile Marketing Strategy! Number of mobile devices on earth will be more than that of human beings before 2014 arrives, as per the recent studies and researches. It is obvious from this fact that how sought after a mobile strategy has become for businesses. While a number of businesses are already on the go there are so many businesses that are still figuring out their mobile marketing strategy. There are so many questions that you need to ask yourself before you create your mobile marketing strategy. Here are five things that you must consider while creating a mobile strategy for your business. Will the mobile marketing strategy meet your business objectives? What are you trying to do through mobile marketing? Is it that you want to drive more traffic to your website or trying to win customers from your competitors or something else? Mobile marketing tends to improve your business performance by providing a new sales channel and making operational efficiencies. 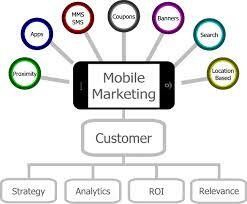 Besides, you can track mobile marketing performance at its every level with the help of a broad range of analytics. 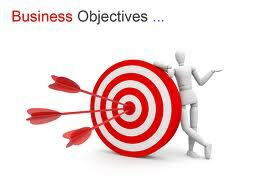 However, your mobile marketing strategy should be in accord with your business objectives. Even now, there are so many businesses that approach mobile marketing in a tactical way instead of utilizing the opportunity to transform their business. It raises a question whether broadening the existing mobile business strategy by including mobile strategy in it would do or will you need a standalone mobile marketing strategy. There are many industries that have been benefited by mobile marketing to a great extent such as travel, media, retail, gaming, entertainment and others. Mobile happens to be their business. However, if you need to know about how can it benefit your business , you will need to either hire a dedicated team for conducting mobile marketing for your business or else you can get your current staff retrained. However, if you don’t want to bear the hassles of both these options you can outsource it to credible mobile marketing service providers. There is the need for detailed mobile marketing plan that will fit together with your other plans like content, data and so on. 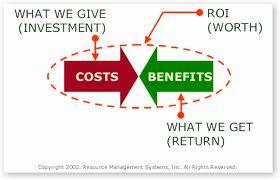 The most important person for any business happens to be the consumers and so is the case with yours. So the first thing you need to identify is the mobile usage patterns of your consumers. Suppose your target audience is quite tech savvy, you can gain best results with the help of a plethora of mobile technologies and apps however, if they are not as in they use mobile only for sending text messages or web browsing , apps are not going to make it for you. However, you must consider the essential differences between mobile and desktop irrespective of your target audience. Besides, don’t forget to make use of personalization, segmentation, geo-targeting and immediacy of response and message. Usually while creating a mobile strategy the first things people think about are mobile sites and apps, which is not at all apposite. One should rather think about the different situations in which consumers use their mobile devices and try developing the mobile marketing strategy accordingly. People use mobile for various purposes such as reading emails while they are on their go , searching for something they need urgently, following up on a ad and so on . Here you need to figure out how smart the mobile users are and work accordingly. Now before you implement the strategy make sure it includes a blueprint of everything starting from reaching the consumer to interacting, converting and engaging with them. It would be pertinent if we say for a mobile site, the work is always in progress and that you always need to be ready to make the changes to it whenever required. Wise people constantly improve their website to give a better experience to users every time they travel through it and eventually make more sales. This is what goes with mobile sites too. Talking about mobile marketing, Conversion rates optimization that aims at bringing better returns from sites and apps is something you need to sell in. You have wonderful customers’ research data, now you need to combine it with web analytics and competitor benchmarking in order to stay unrivaled.Besides, you get a detailed data trail for location and time-based tracking. 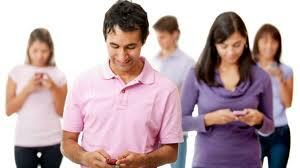 Moreover, usually people do not share their handsets and everyone have their individual set. So you can do micro-targeting and A/B testing of your mobile ads, offers and messaging, and constantly improve your performance and gain a better ROI. The idea is that you cannot have same mobile strategy for every organization and that it varies from business to business. 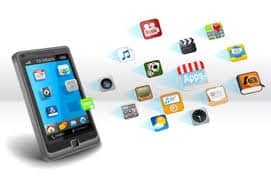 Hopefully, the five factors that we have discussed above will help you leverage mobile marketing better and gain better returns on every single penny you invest.